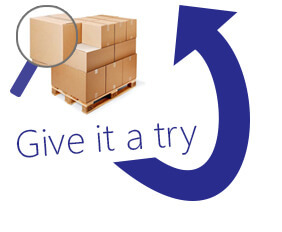 Try our new and improved search function to help you find the right sized cardboard box every time! Whichever page of our website you’re on, you can now start your box size search without having to open a new page. No need to be too specific - you can enter just one or all of the fields for a more accurate search. Wait a few seconds while we work our magic. Our newly designed search results page will display all your matched results, with a 10% each way margin, in a simple, easy to view format.